One of the complaints I had about the house in Old Trees is that each room had only a single- or two-bulb fixture high upon the twelve foot ceilings to serve to illuminate the rooms within it. When the sun went down, the brown/tan/beige walls soaked that light up and the home became dark and draining. Nogglestead is a tad different. And, fortunately, in a way I can complain about: the thing has too many light bulbs in its fixtures, and its fixtures use a plethora of different bulb styles. Maybe two plethora. Maybe a full myriad of plethora. 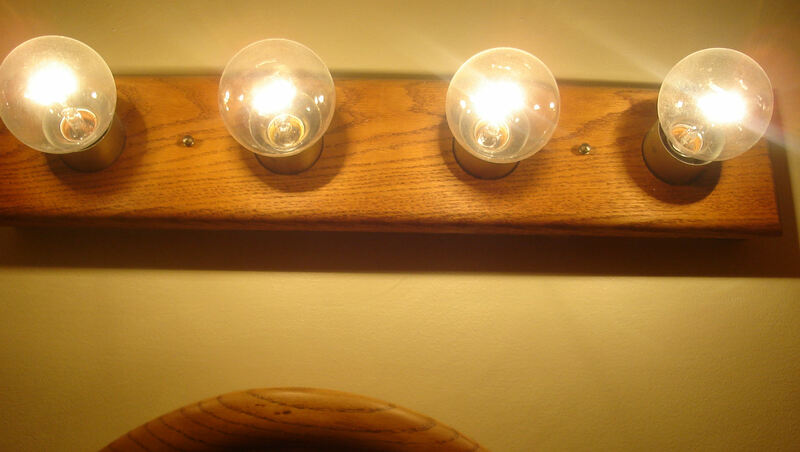 Additionally, each fixture uses instead of one or two 100 watt bulbs, sometimes a dozen or more 40 watt bulbs. It’s bright, all right, and that buzzing you hear isn’t from fluorescence. It’s from the electric meter spinning. 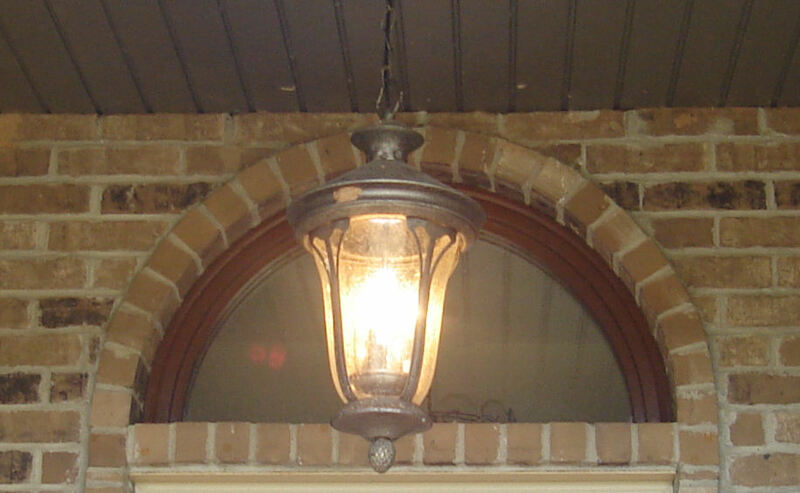 This fixture has three small-base candle flame candles. 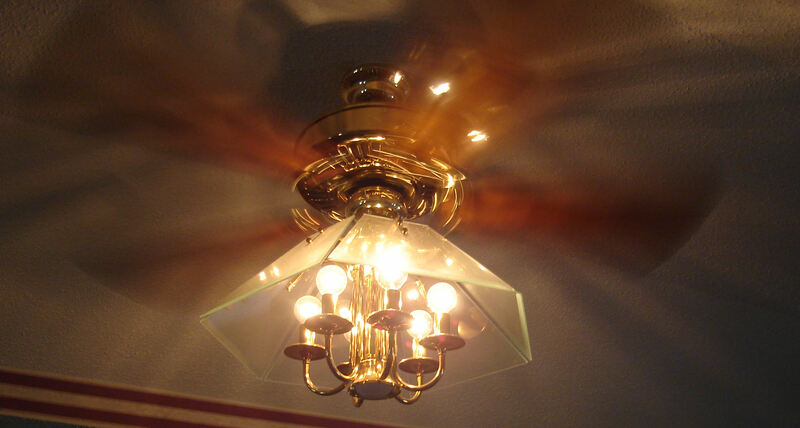 Not only that, but to replace them, you have to undo the decorative nut on the bottom, remove the small decorative cover, undo the nut that holds the glass and whatnot up, remove most of the fixture except for the sockets, and then replace the bulbs. I don’t bother if only one is out. I wait for them to all go dark before I do. And I’ve replaced the set twice in the 11 months I’ve lived here. These are 40 watt small base clear bulbs. Six of them. This is the parlor. It’s a formal dining room, but we don’t dine formally, so it has a piano in it and an elaborate formal dining room fixture. That’s eight of the same 40 watt small base clear bulbs. There are six fixtures in here that I’ve not opened yet. Would it be too much to ask that they’re standard medium base light bulbs under there? Over the sink, there’s a recessed fixture that wants a flood light, but I’ve put in a 60-watt medium base incandescent. I know, by now you’re thinking it’s not so bad. 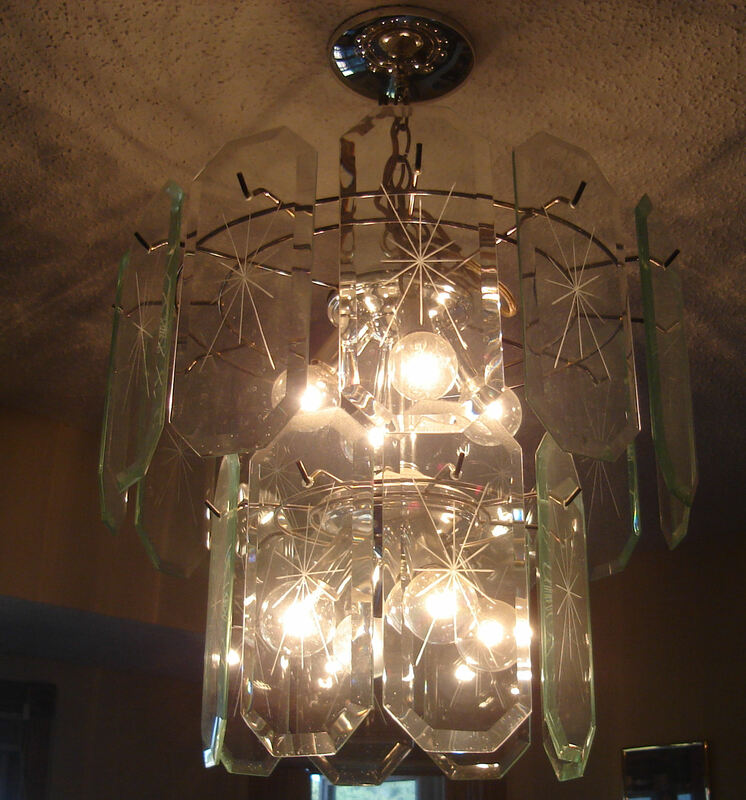 The ceiling fixture has six more of the 40 watt small base clear bulbs. Oh, but look more closely: it also has a downward facing small spotlight in the center that I have yet to successfully replace. Since the top (or bottom) of the bulb is flush with the edge of its socket, I can’t get a good grip on it to replace it. Currently, it has a new bulb in it, but it’s not lit, so I did something wrong. Now, onto elsewhere. This is one of the bedrooms in the house. The house relies on medium base floods recessed in the ceiling in a number of rooms, including the offices downstairs, two of the bedrooms upstairs, and the main living area downstairs. I’ve had to replace the ones in the den downstairs a couple of times each (I’ve had these troubles with recessed floodlights before in Old Trees as well). Eventually, I can get away with using medium base regular bulbs. Sometime soon I’ll do that instead of paying for the floodlights. All of the bathrooms use medium base clear frosted bulbs. At least they share something with other rooms. These vanities are in addition to overhead lights, of course. 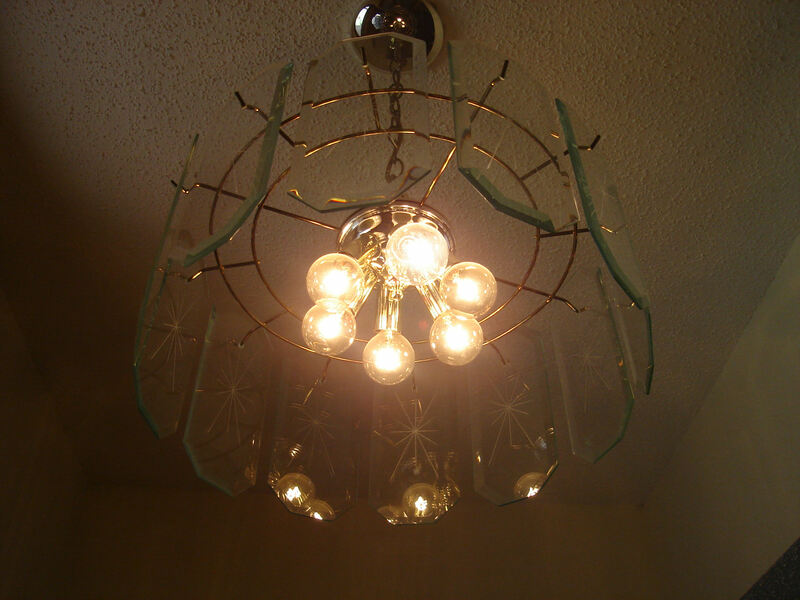 However, in all of these cases (the garage, the laundry alcove, the walk-in closet, the storeroom, and the utility room), the previous owner put CFL bulbs in. 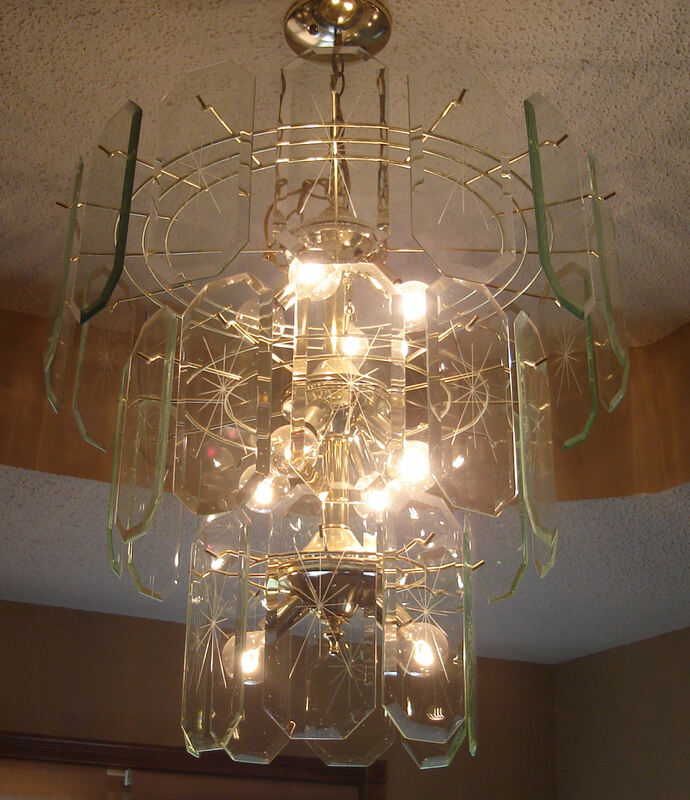 Note that all of these fixtures do not have glass bulbs over them. In each of these cases, you’re one errant ladder from a hazmat situation. 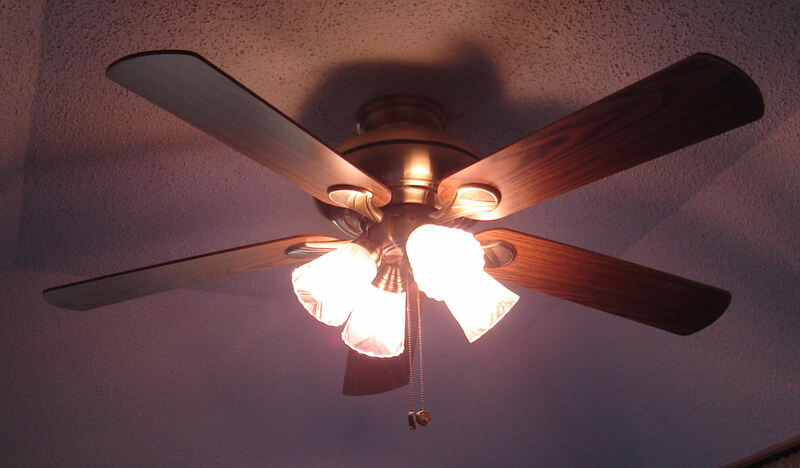 Also, all of these areas are the ones you’re prone to flip the light on for a couple seconds and turn it off. This is bad for the life expectancy of the CFL. I’m moving them out of the house as fast as I can. 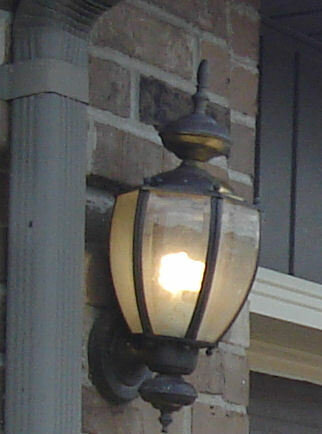 These two fixtures outside the garage are perfect for the light-polluting CFL bulbs. Sadly, I have only two of these external fixtures and something like four or five of them remaining in my house. That’s seven different types of light bulbs I need to have on hand to keep this house illuminated, and a whole pile of them on at any one time. I’d lie to you if I told you I’d rather have the lighting scheme of the old home in the new one, but jeez, Louise. I wonder where I’ll be in 2 years when incandescent light bulbs start becoming illegal by writ of Their Majesty, The Royal Congress. Also, apologies in advance for any future brownouts I cause all by myself.